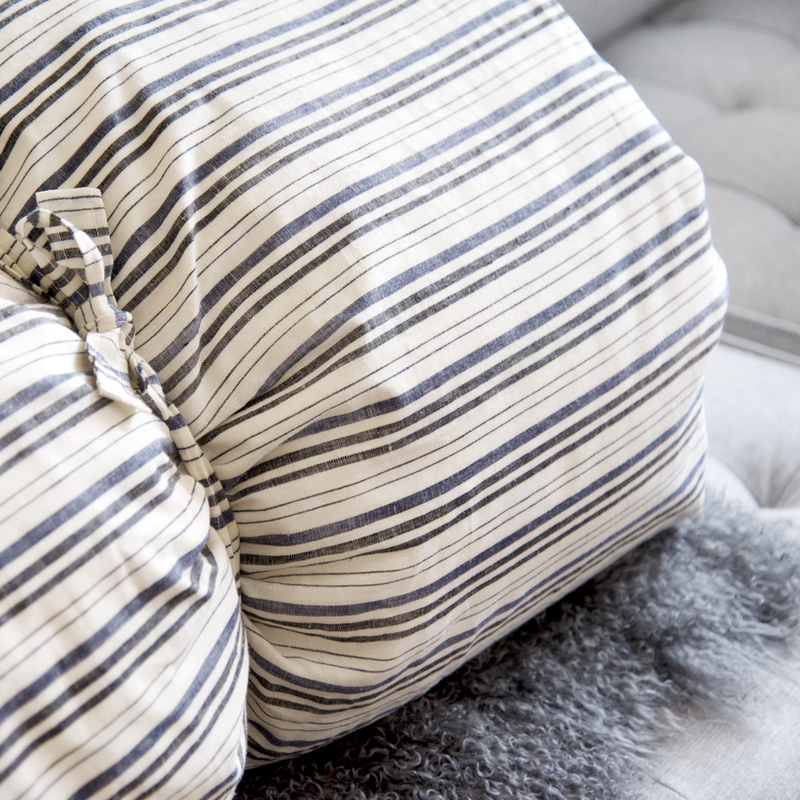 Classic and modern, we offer this uniquely sized pillow in several irresistible stripes for sofa, bed, or anywhere a little extra lumbar support would be appreciated. Covers are 100% linen; inserts are a cozy mix of down and feathers. 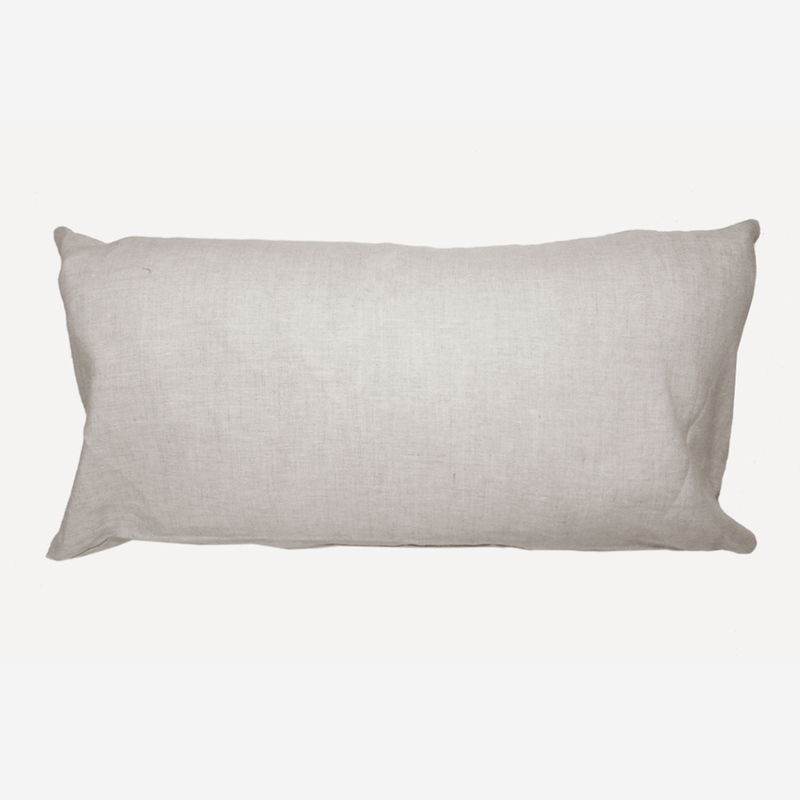 For an elegant guest bed that you can set up practically anywhere, pair this pillow with our OGK Danish Daybeds and Hedgehouse Throwbed. 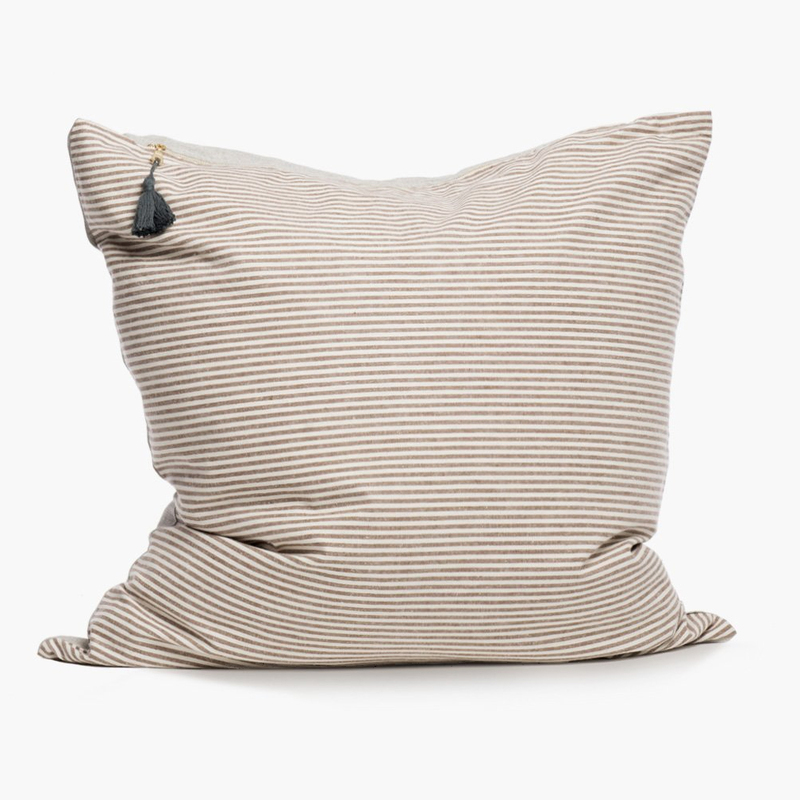 Classic and modern, we offer this uniquely sized pillow in natural linen and several irresistible stripes for sofa, bed, or anywhere a little extra lumbar support would be appreciated. Covers are 100% linen; inserts are a cozy mix of down and feathers. For an elegant guest bed that you can set up practically anywhere, pair this pillow with our OGK Danish Daybeds and Hedgehouse Throwbed. 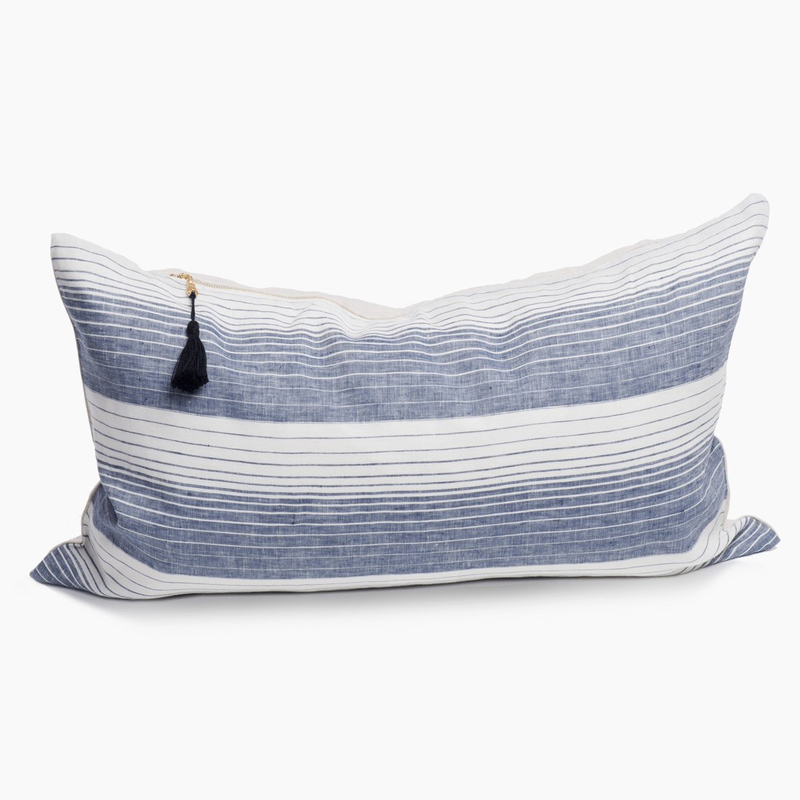 Sized just right to make a statement on an oversized sofa or bed, or flopped on the floor for instant seating anywhere, this generously sized pillow is offered in an assortment of stripes to harmonize with any décor. A 100% linen cover is stuffed with a comfy down/feather insert, and finished with a galvanized aluminum zipper and a kicky tassel. 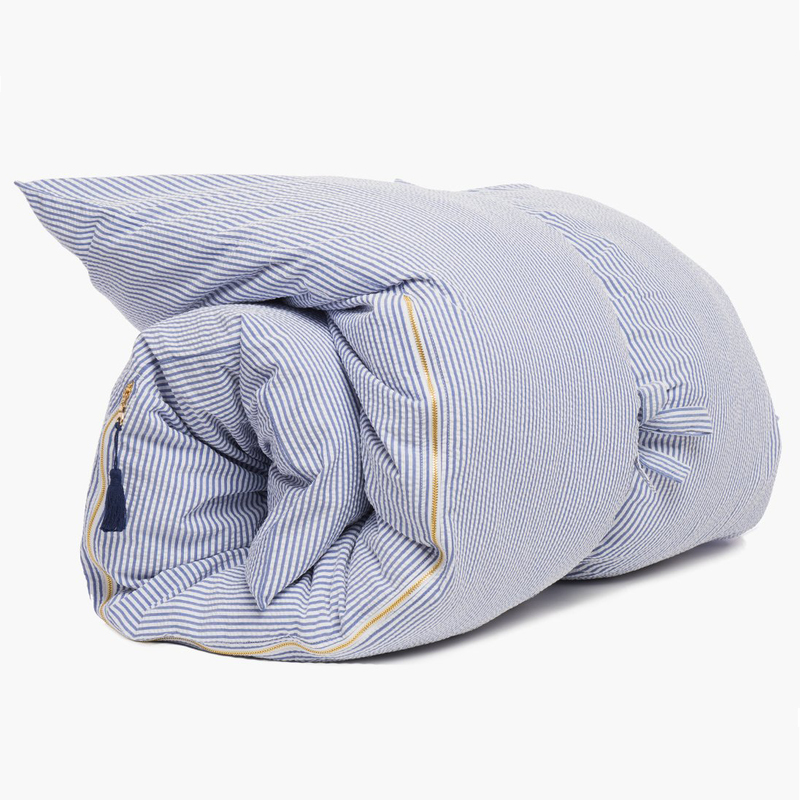 Pairs beautifully with our Hedgehouse Throwbed and 14″x 26″ throw pillows. 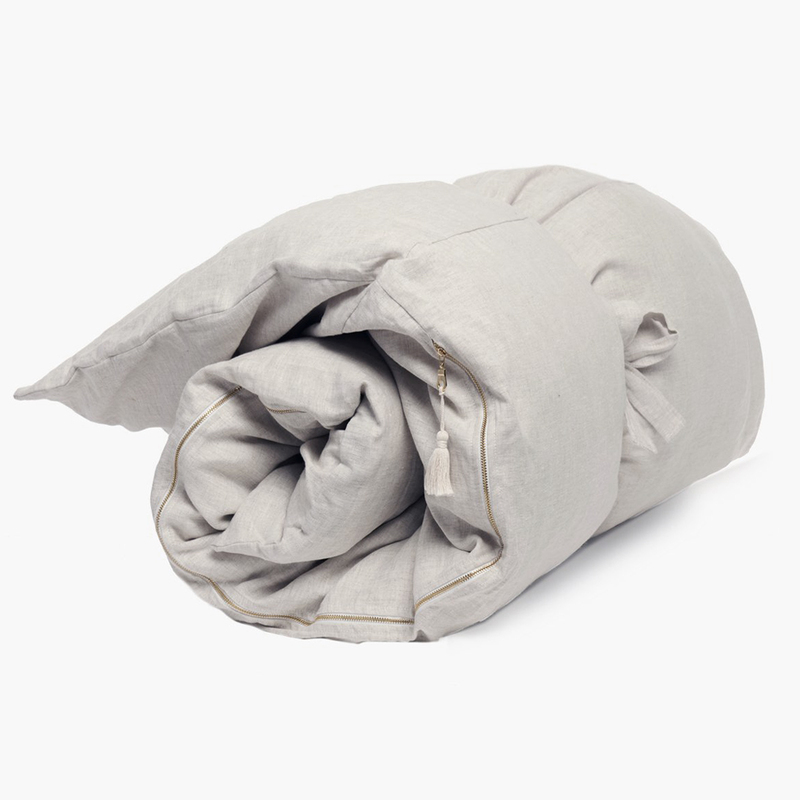 A 100% linen cover is stuffed with a comfy down/feather insert, and finished with a galvanized aluminum zipper and a kicky tassel. Best of all, the removable cover and entire insert can be simply tossed in the washing machine. 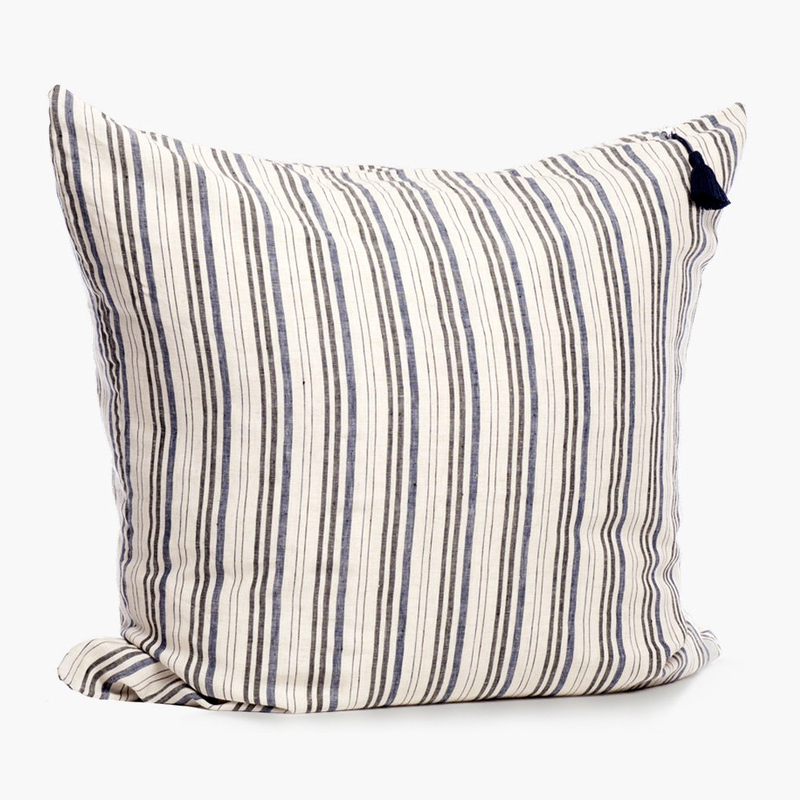 Sized just right to make a statement on an oversized sofa or bed, or flopped on the floor for instant seating anywhere, this generously sized pillow is offered in an assortment of stripes to harmonize with any décor. 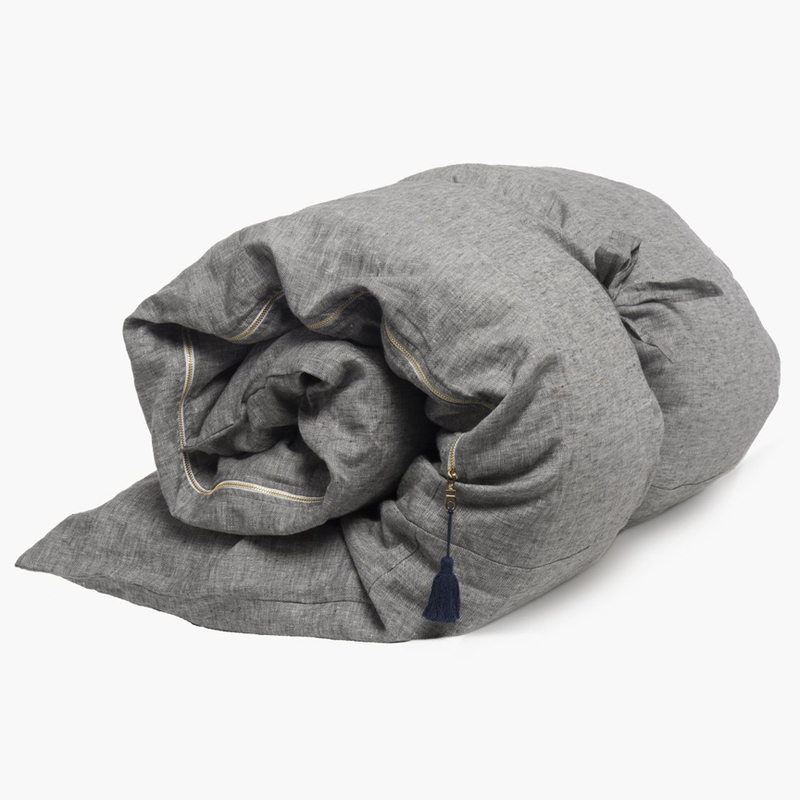 A 100% linen cover is stuffed with a comfy down/feather insert, and finished with a galvanized aluminum zipper and a kicky tassel. 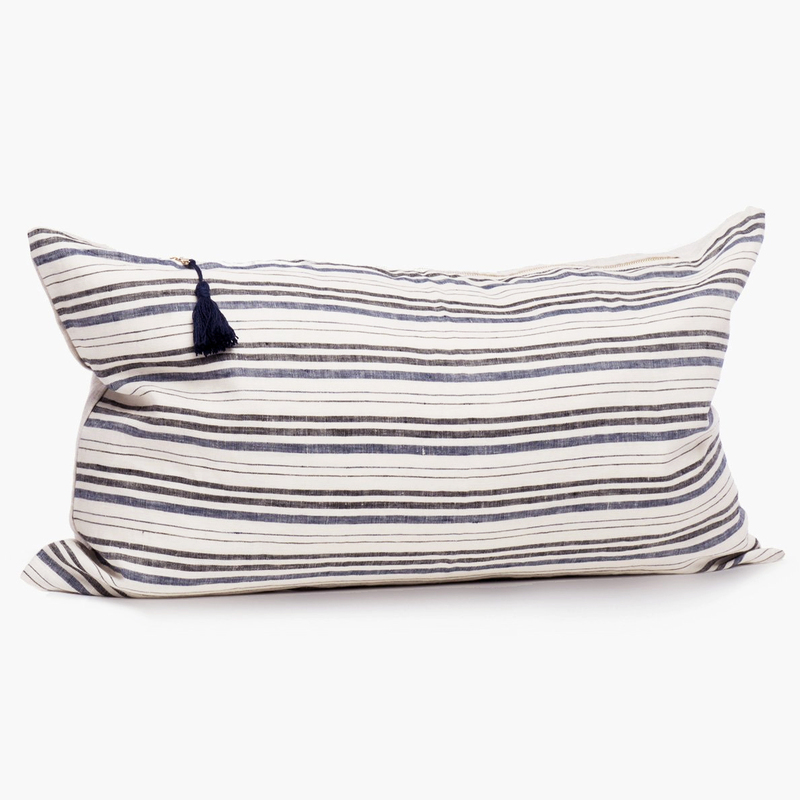 Pairs beautifully with our Hedgehouse Throwbed and 14″x 26″ throw pillows. Best of all, the removable cover and entire insert can be simply tossed in the washing machine.